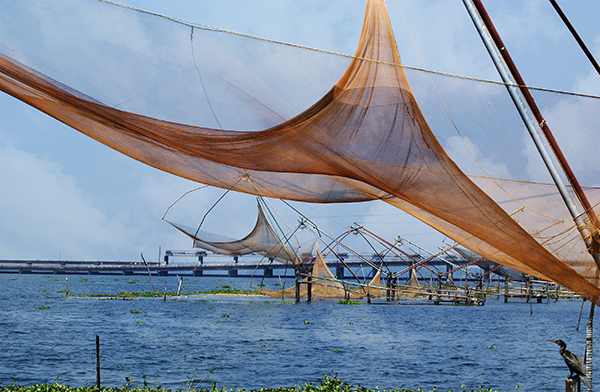 Uncover the charms of Cochin, home to giant fishing nets and classical Keralan arts. Spend a night on a traditional houseboat cruising through the stunning backwaters. Stand on the southernmost tip of India overlooking three great oceans. On arrival, you will be met by our ICS representative at the airport and transferred to your hotel. After breakfast set off on a sightseeing tour of Cochin. Cochin, originally built by the Portuguese, has a natural harbour with lagoons, canals and fishing hamlets. Explore the beautiful Mattancherry Dutch Palace. This iconic building was built by the Portuguese in 1555 and renovated by the Dutch in 1663. Walk through the rooms and admire the vibrantly coloured murals telling the story of the epic Ramayana. See the Jewish Synagogue, and wander through the picture-postcard streets lined with 17th century Dutch and Keralan-style houses. Visit St Francis Church, the oldest European church in India, which contains several antiquities including a palm-leaf title deed given to the Portuguese in 1503 by the local Raja. Along the tip of Fort Cochin photograph the huge cantilevered Chinese fishing nets – living symbols of the centuries-old Chinese influence on this coast. 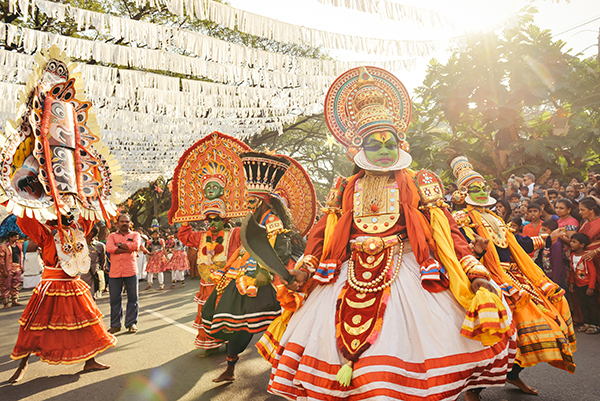 In the evening watch a performance of the traditional art form of Kathakali dance. 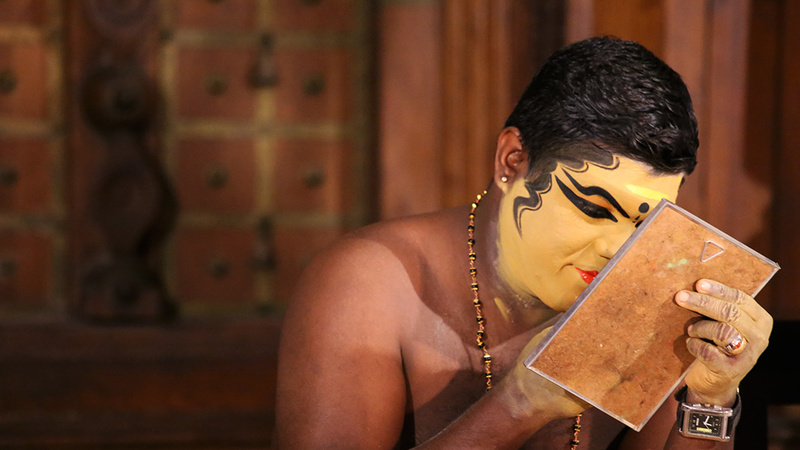 Male actors caked in brightly coloured make-up cavort on the stage in a spellbinding display of morality-theatre, while the women perform the more graceful dance form, the Mohiniattam. In the morning transfer to Allepey and board the traditional wooden houseboat. 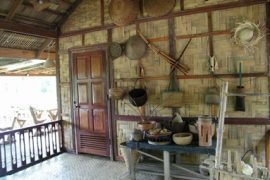 These converted rice barges or “Kettuvallams” have been constructed from local materials such as bamboo poles and coconut fibre ropes; and furnished with bamboo mats, coir carpets and traditional lanterns. 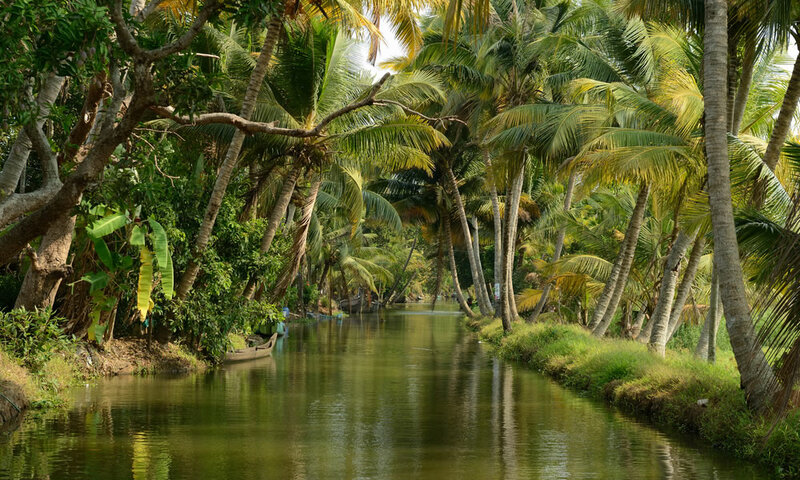 Alleppey, also known as Alappuzha, is a watery world of narrow canals, rice barges and punted canoes. In the early 20th century, the then Viceroy of the Indian Empire, Lord Curzon, was so mesmerised by the scenic beauty he declared Alleppey as ‘The Venice of the East’. 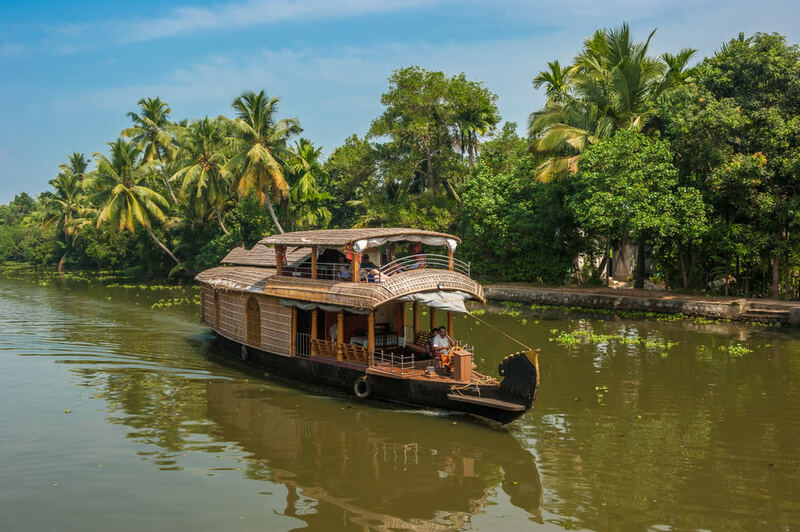 After boarding, sit back and relax as your private boat slowly floats through the beautiful backwaters past local villages, lush rice paddies and coconut palms. Traditional Keralan cuisine will be served on the boat. After breakfast leave the houseboat and drive to Kumarakom. On arrival check in to the hotel followed by a tour of the local area. The village of Kumarakom is a cluster of little islands on the Vembanad Lake, the largest wetland system in India fed by a vast network of canals. 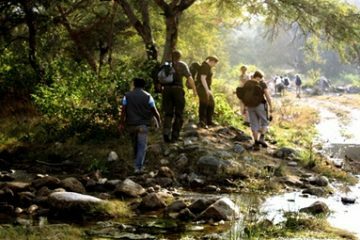 The bird sanctuary is home to many species of waterbirds including egrets, darters, herons, teals, waterfowls, cuckoo and wild duck. Many migratory birds like the Siberian Stork also visit here in flocks. After breakfast drive to Periyar and check in to the hotel. 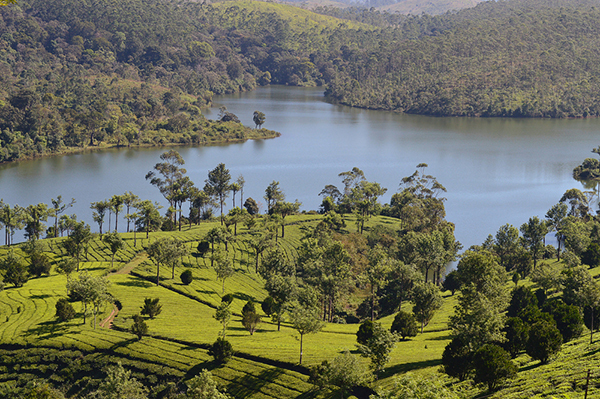 In the afternoon join a Game Drive in Lake Periyar. The very sound of the word Thekkady conjures up images of elephants, unending chains of hills and spice scented plantations. 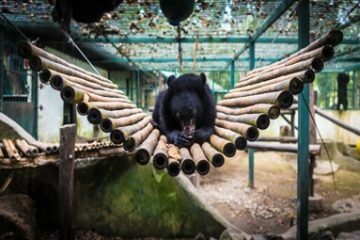 This is the location of Periyar National Park, one of the finest wildlife reserves in India and home to thick forests and a host of animals including elephants, sambar, tigers and langurs. After breakfast set off to Madurai. On arrival check in to the hotel. In the evening witness a unique Aarti ceremony consisting of a procession and ceremonies for the Consort of Goddess Durga – Shiva. The entire procession takes 45 mins. After breakfast set off for a sightseeing tour of Madurai. Known as the city of festivals, Madurai is the ancient home of culture. 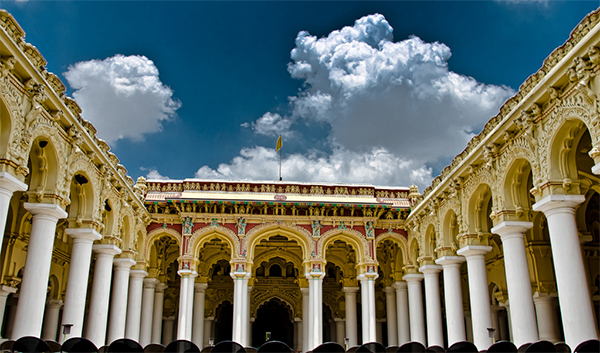 The town has developed encircling the dazzling maze-like Meenakshi Temple built in the Dravidian style. It is believed that if you place a literary work in the tank of this temple, it will sink – if worthless, and float – if worthy. Outside the temple are the Musical Pillars which produce different swaras or notes when tapped. Visit the Palace of Tirumala Nayak, the most famous king of the Nayak dynasty. A large courtyard surrounded by tall, thick columns topped with fancy stucco work leads to the grand throne chamber. After breakfast drive to Kanyakumari and check in to the hotel. In the afternoon set off for a sightseeing tour. 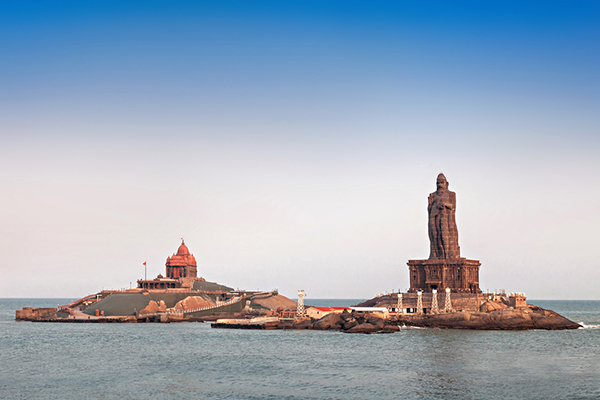 Kanyakumari, also known as Cape Comorin, is located in the southernmost tip of the Indian subcontinent. This is where the three mighty seas meet: Bay of Bengal, Indian Ocean and Arabian Sea. At certain times of the year people flock here to see the sun set and the moon rise over the three seas. 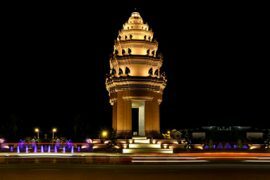 It is also a noted pilgrimage site attracting pilgrims from all over the world. Visit the beautifully decorated Kumari Amman Temple dedicated to the Goddess Parvati. See the Gandhi Memorial where an urn containing the Mahatma’s ashes is kept. 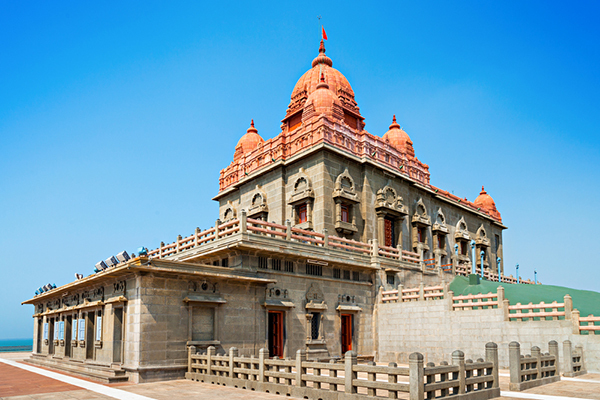 Four hundred metres offshore is the peaceful Vivekananda Rock Memorial built in honour of Swami Vivekananda. Also visit the Church of our Lady of Ransom starkly etched against the beautiful shoreline. After breakfast drive to Kovalam and on arrival check in to the hotel. The rest of the day is free for you to do as you please. 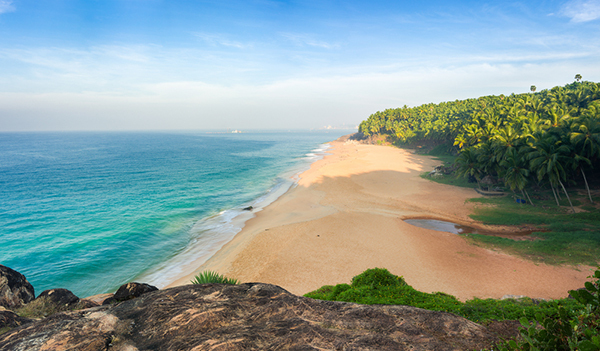 Kovalam has three adjacent crescent beaches. A massive rocky promontory on the beach has created a beautiful bay of calm waters ideal for swimming. In the morning spend take an excursion to nearby Trivandrum. Trivandrum’s spiritual heart is the 260-year-old Sree Padmanabha Swami Temple, one of the richest temples in the world. 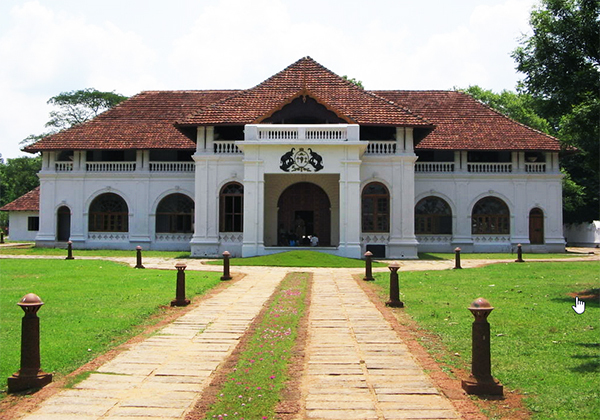 The Kanakkunnu Palace and the Kowdiar Palace are some of the last remaining royal insignia of the city and reminders of the kingdom of Travancore. 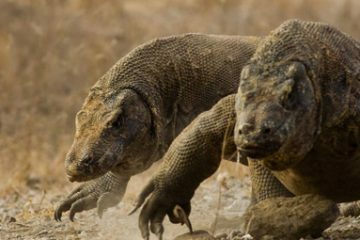 Some of the other sights include the Observatory, the Science and Technology Museum, Trivandrum Zoo and Museum, the Government Secretariat and the Tagore Centenary Theatre. Also visit Sree Chitra Art Gallery, famous for its impressive collection of exquisite paintings. In the morning transfer to the airport in Trivandrum for the flight to your onward destination.